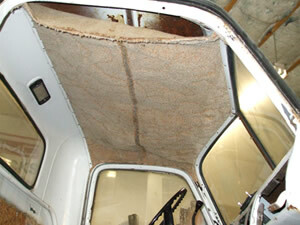 There are many areas to consider when restoring the interior of your vehicle. There are also many options. 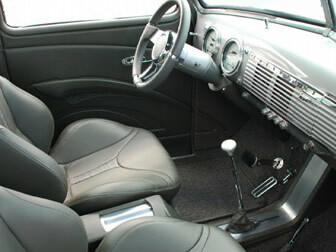 Factory original, personalized interior, custom interior or completely radical. The choice is yours. 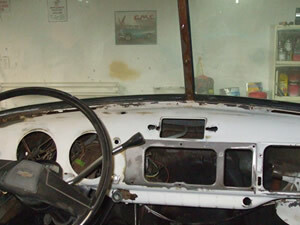 We can refurbish existing components or go all out with aftermarket or original accessories. 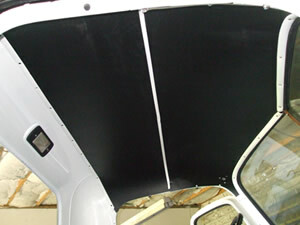 This first set of photos show a mid 70s carpet roof transformed into a facotry original 1949 to 1954 General Motors truck. 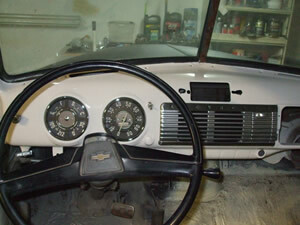 This set of before and after photos of a gauge cluster from a 1949 GMC truck. 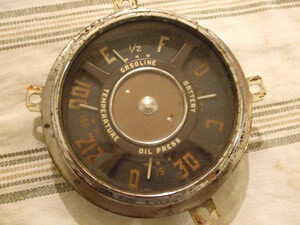 Believe it or not, this photo is the above gauge refurbished inhouse by Last Chance Auto Restore. 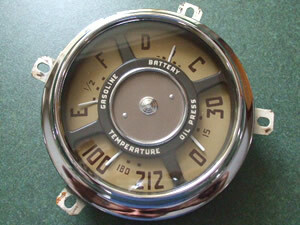 Many others dispose the original gauges and order remanufactured gauges at your expense. 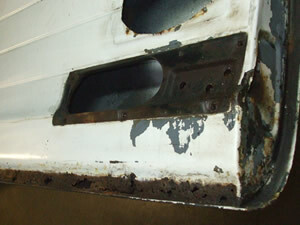 This photo is a typical rust out of an inner door panel on older trucks. 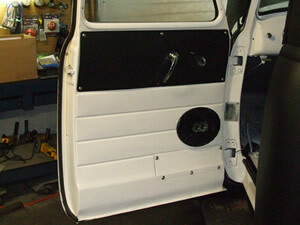 This photo depicts a completely restored door to factory specifications, with an aftermarket speaker system. 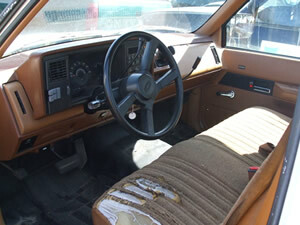 This picture shows a typical worn out seat and a boring brown interior of a General Motors truck from 1988 to 1998 style. This second photo shows a freshened up interior and color change with an upgraded and more visually appealing seat to match the freshened exterior restoration. 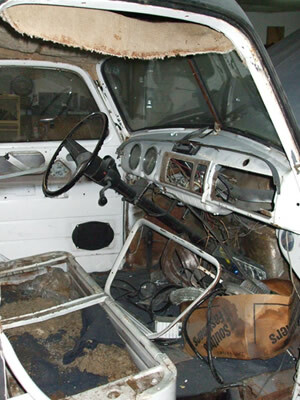 This picture shows us a neglected barn find of an older truck begging for restoration by Last Chance Auto Restore. 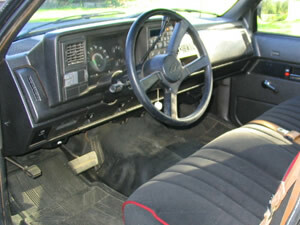 This photo depicts the transformation of above barn find truck. 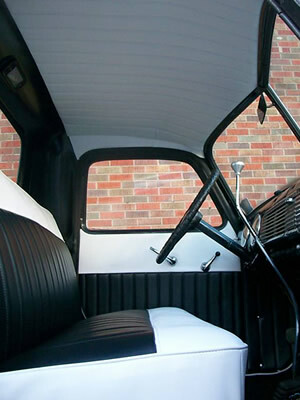 At this point you can decide what type of floor covering and stereo and colors you want in your restored vehicle. 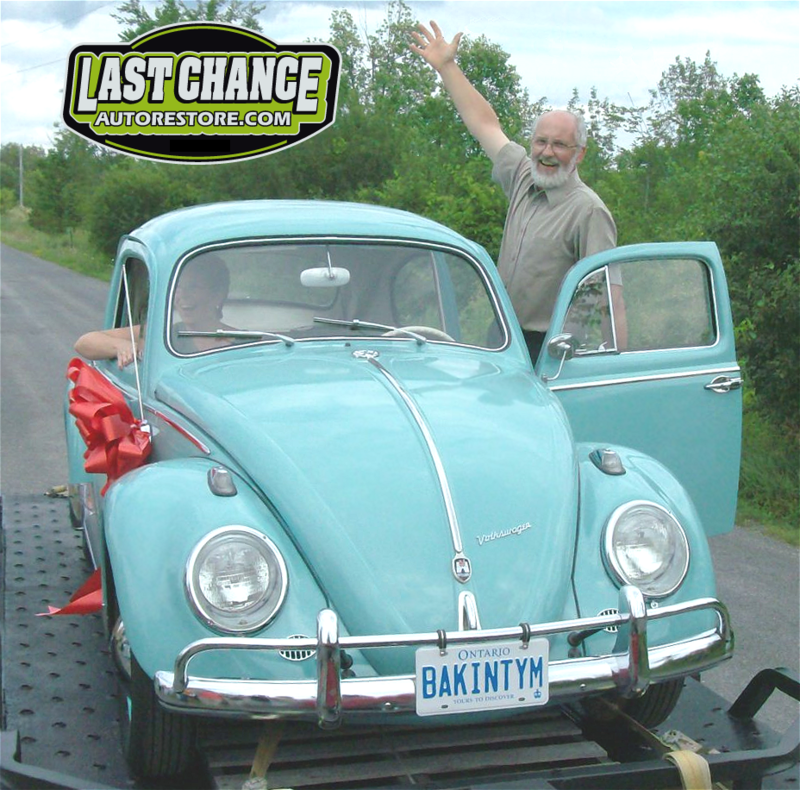 At Last Chance Auto Restore anything is possible and you make the decisions. This set of photos shows the possibilities of where you want to go with your interior design. Convert an ugly interior into your vision and color scheme.